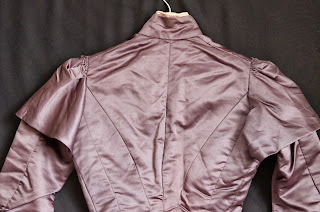 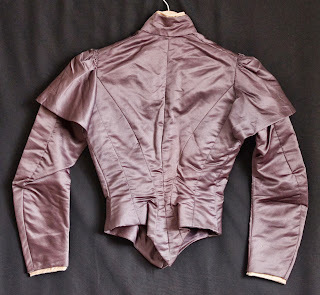 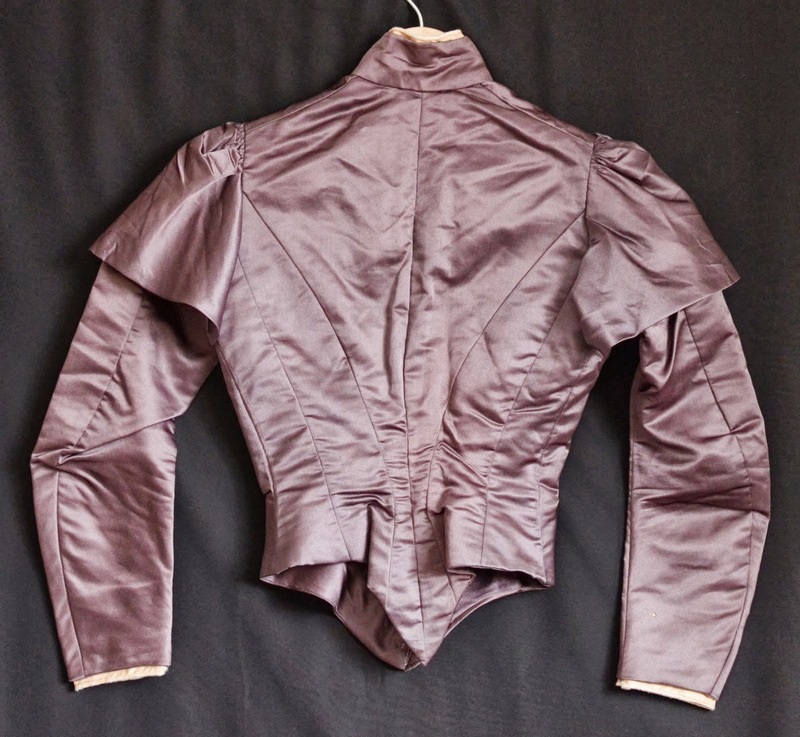 Antique Victorian women's lavender silk bodice - VGC! 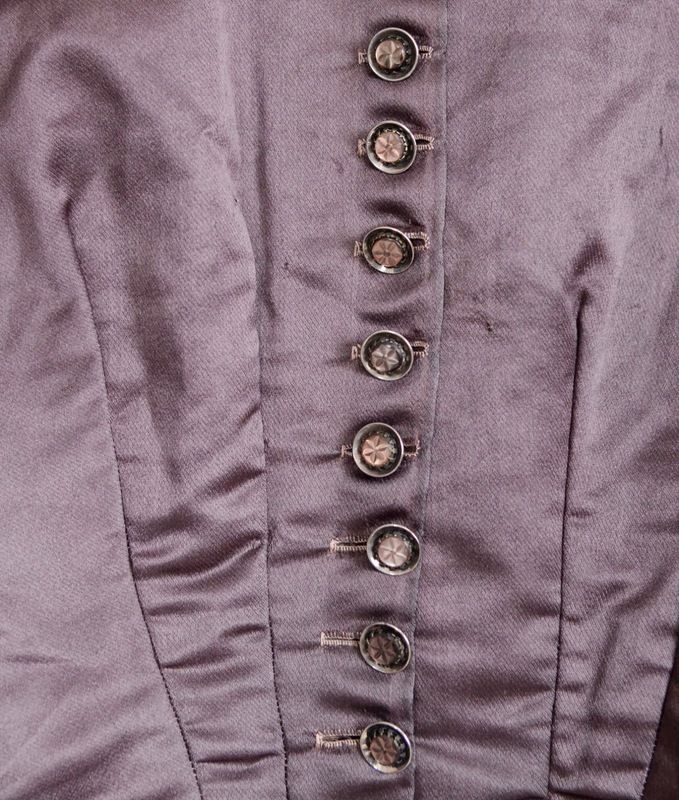 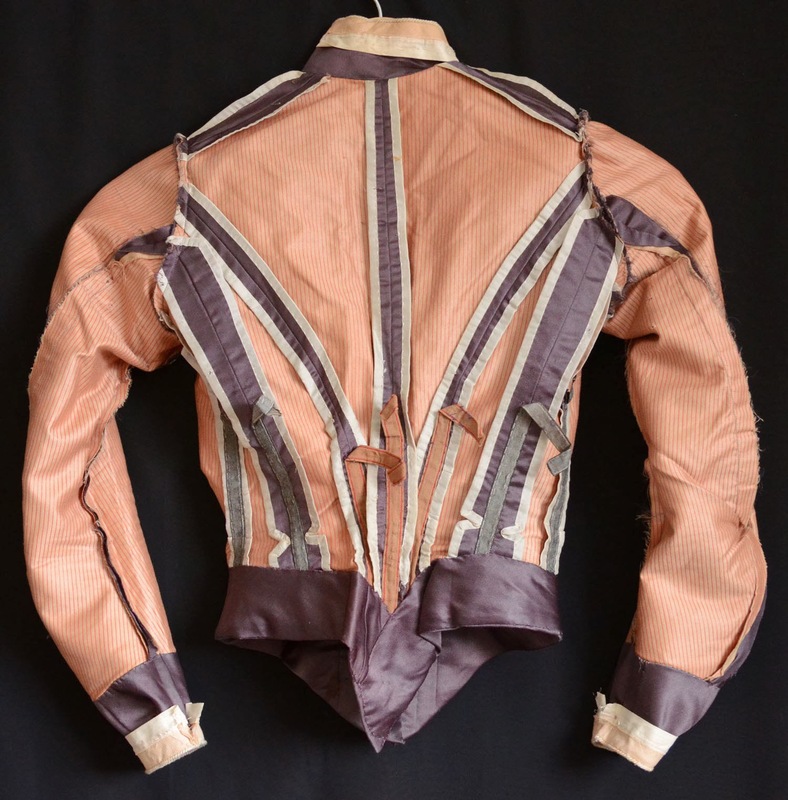 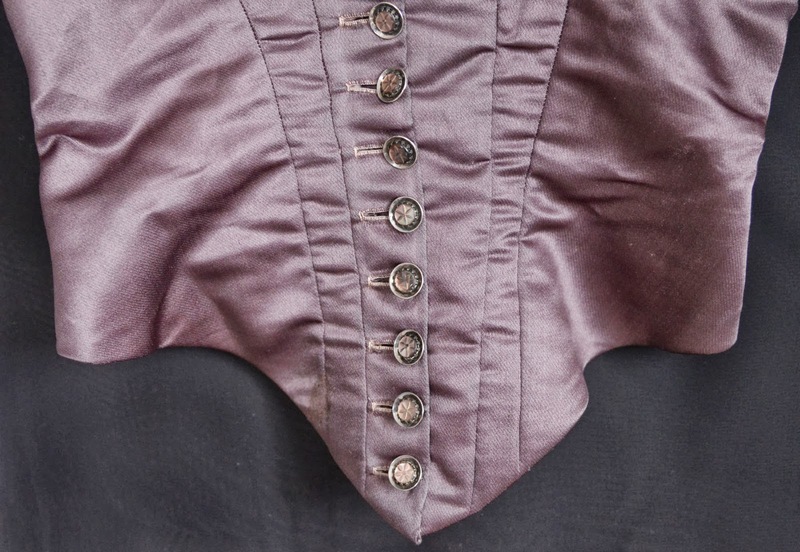 This antique Victorian bodice is a beautiful piece, in very good condition. 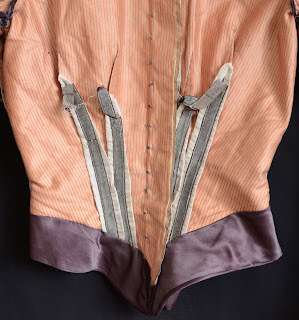 It is fully lined with a striped polished cotton, which peeks through at the neckline and hem of the sleeves, where it is edged with a small braided cord. 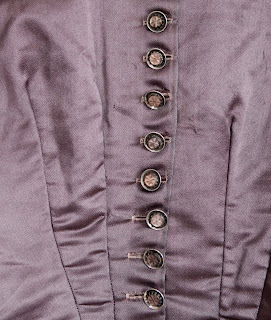 This bodice would be a wonderful addition to your collection, and could be worn by a very small woman. 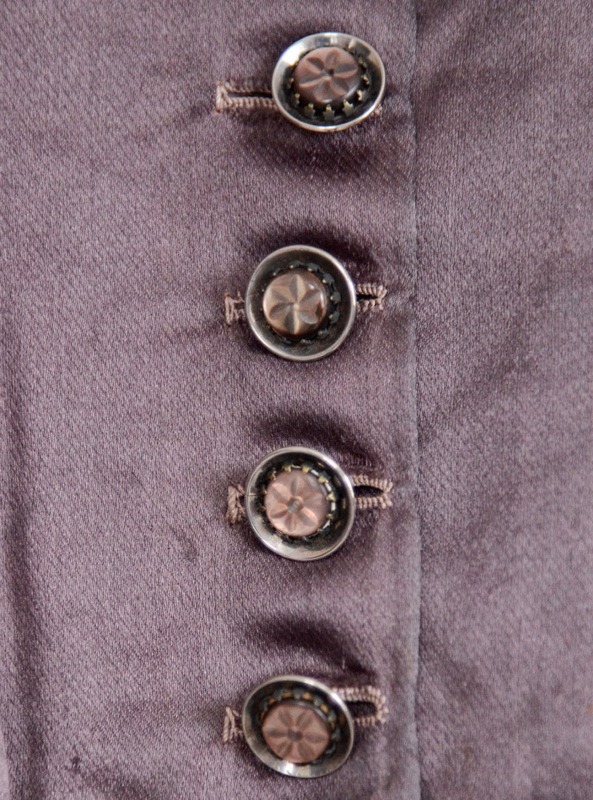 CONDITION: Very good condition, with about 10 tiny pinholes. 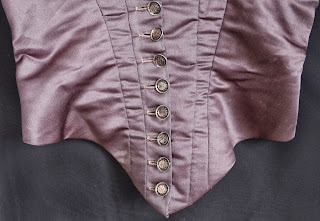 This bodice is odd. 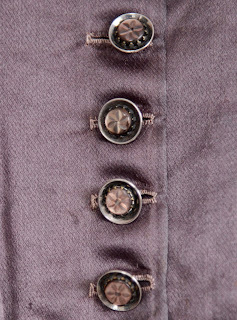 Some of the styling hints at the 1870's, others at the very early 1890's....hence why I'm sticking it smack in the middle.